I am a huge fan of ALL things Lush, and I could easily spend all my time and money in those gorgeous shops, but as a student - I can't! Boo! 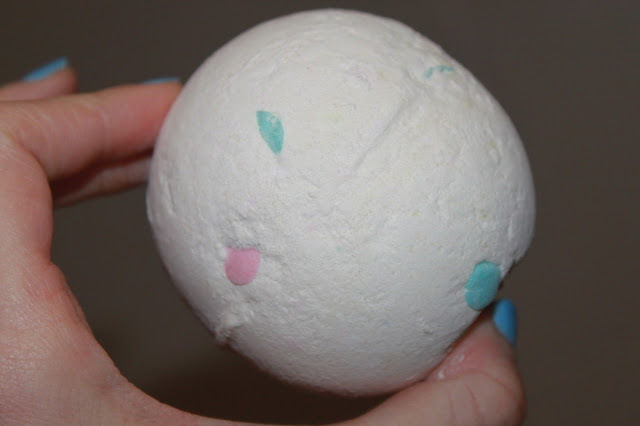 This gorgeous little ballistic bath bomb is Dragon's Egg. This little beauty was part of my Valentines present from my caring and lovely boyfriend! I was so excited to try this out, so I watched a few videos on this on Youtube before I received it, just so I know what I was expecting. 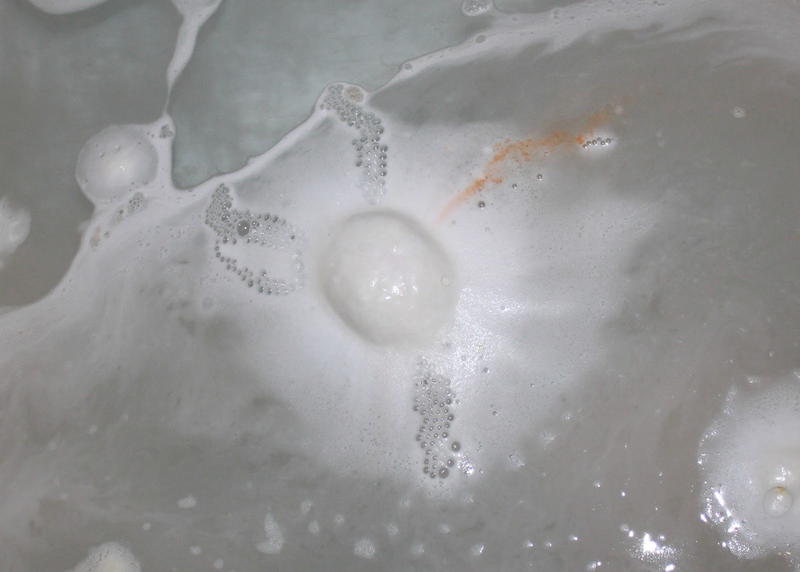 Before you even see this gorgeous speckled bath bomb. you smell it! It's a very powerful smell and smells of sweet lemons and jasmine. Strangely though, having it on my bedside table while I watched TV made me sneeze! If you're not a fan of strong smelling stuff from Lush, as I know a few people are - my close friend can't even walk past the shop - then this one probably isn't for you. 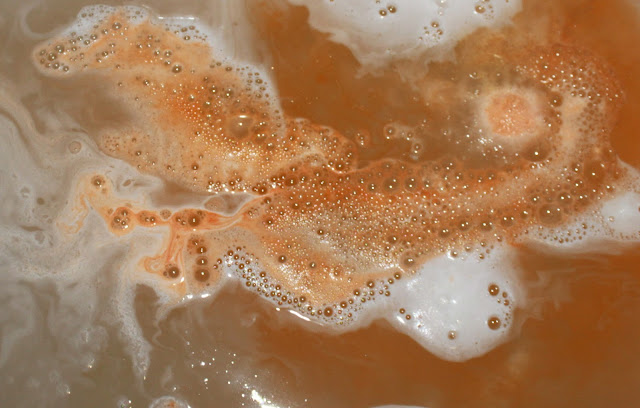 Once dropped into the warm water it starts fizzing a bright white, and suddenly changes into a gorgeous bronze orange. When it gets to the heart of the bath bomb it starts fizzing gold dust and floods the bath with it's sparkliness. The little spots on the bath bomb turned into this jelly substance which made my bath look even more lovely among all the glitter. 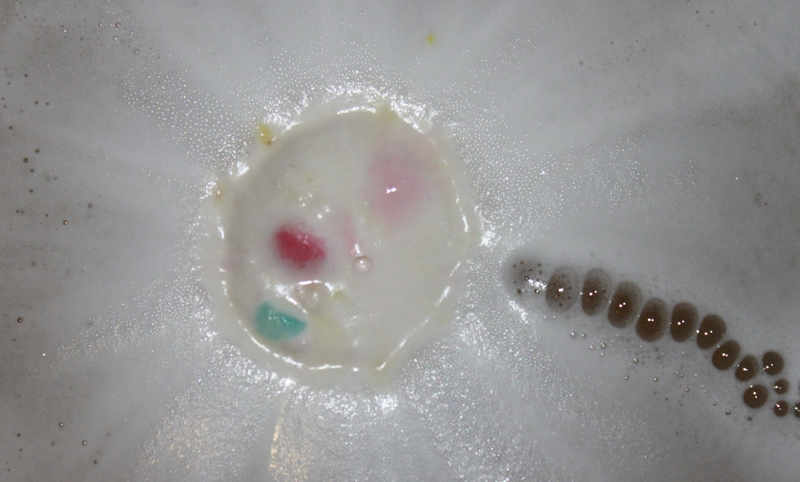 In some Youtube videos some of the ballistics had none of this confetti looking circles, and a handful did. Some of the confetti pieces even turned into transparent scales, but mine didn't do this. I even left my bath in for an hour to see if these would change, but they just floated at the top in its jelly bubbles. 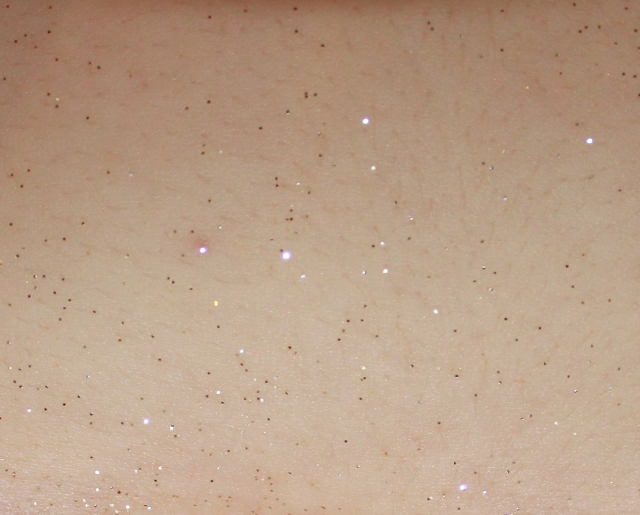 Once out the bath and dried, I noticed I had loads of glitter on me. Even though it was a lot, it's not in an 'Hi I'm Edward Cullen,' kind of way. 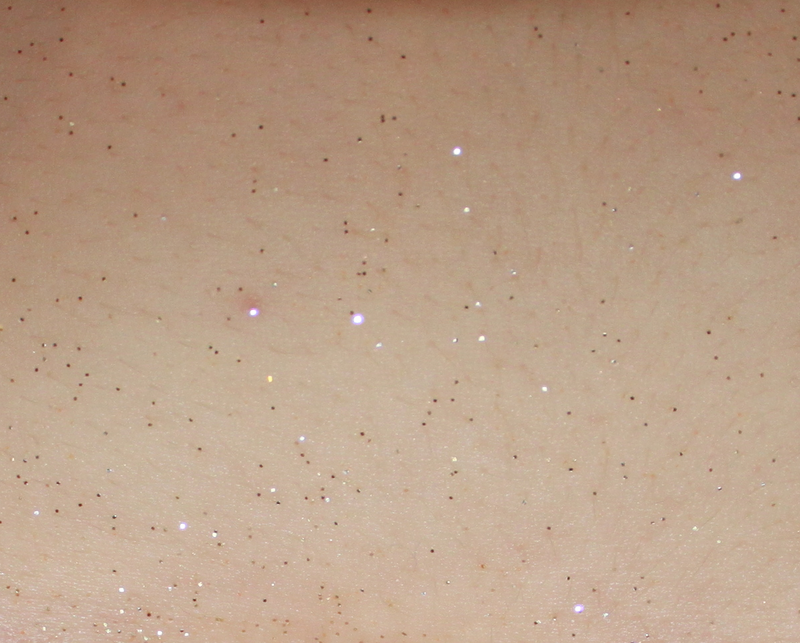 However the next day I noticed glitter all over my house! My bath needed a good clean too, and there still was a soft scent of lemons in the air. I loved this ballistic. The reason why my boyfriend chose it is because I'm obsessed with the game Spyro, a game about a little purple dragon! I would repurchase this as it made my bath so pretty, and I smelt so good after. It smelt gorgeous and looked lovely too. The only thing I advise is if you get this, expect loads of glitter! Have you tried this ballistic before? What is your favourite Lush product? What do you think of this ballistic? I'd love to hear from you and I respond to all comments! 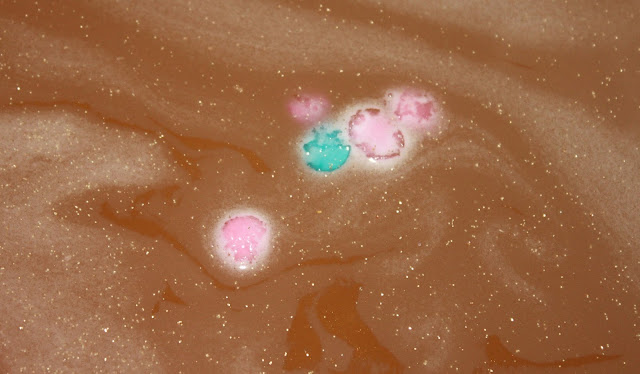 I love bath bombs which leave glitter...well when you're on the bath it's nice, but after it's a bit annoying haha! I love Spyro too! This looks amazing, I love the glitter effect! I am a Lush fiend! This looks amazing, I will have to try it. I did a post about Lush products a few days ago! Check it out. Wow that bath bomb looks so pretty when it's all fizzy! The gold glitter makes the water looks so magical. I never take baths so I don't think I'll be buying a Lush ballistic anytime soon. CARISHEA SHEA JOY GERANIUM AND LEMONGRASS REVIEW.